The guy you see in the picture above is 19-year-old Dandre Moore. And he’s a douchebag. 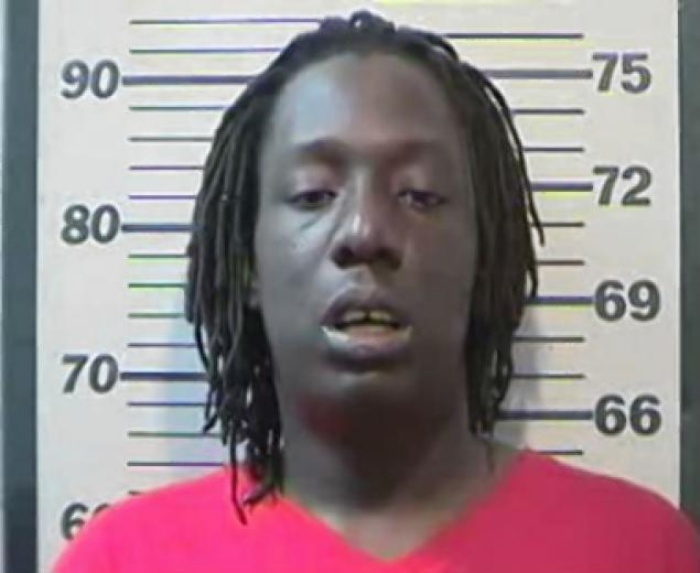 Dandre and Dartavious Moore were arrested last week when officers spotted the former texting while driving as they passed through the George Wallace Tunnel. The police realized things were much worse than they initially thought when they found out that Dandre was driving with his knees because he was double-texting. As if that’s not crazy stupid reckless enough, officers found that he had two women passengers and a 3-year-old toddler on board! To seal their fate, Xanax, 386 oxycodone pills, marijuana and $5,000 in cash was found in the car. Dandre eventually admitted to police that he had been double-texting and knee-driving ever since he was 15. This guy’s got to do a lot of thinking so he can see the error of his ways–before it’s too late.